This package is for foreign companies that want to incorporate a branch office but have no plans of relocating staff to the country. 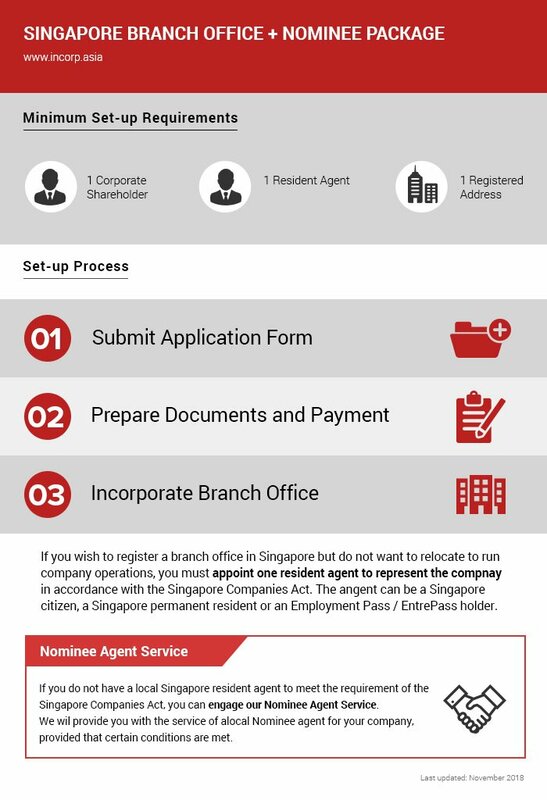 To do this, companies have to appoint at least one resident agent (this is in accordance with the Singapore Company Act). Speak to the experts in branch office registration. Our experts can take care of the Singapore branch office registration and provide personalized advice to meet your business’s requirements.